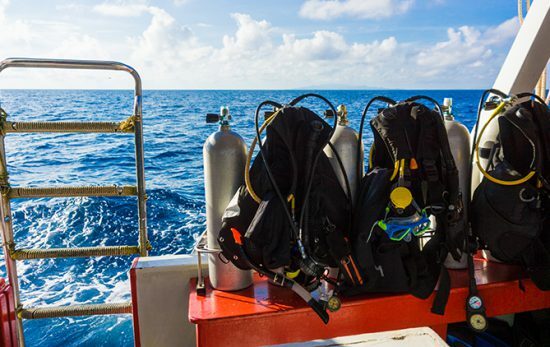 Christine Drane, from Essex in the UK, has written about her love of diving and her journey towards becoming a PADI Professional in Koh Chang, Thailand. 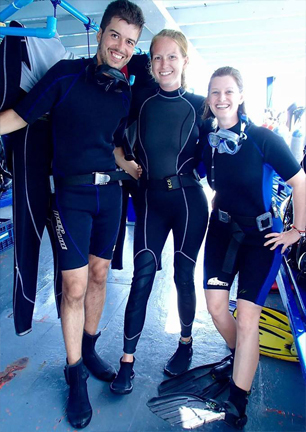 After completing my Divemaster course on Koh Samui, I knew what I wanted to do and where I wanted to go. 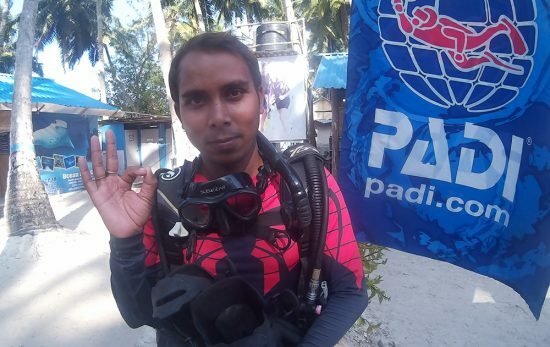 Diving had taken a hold on me two years before when I completed my PADI Open Water Course. The beauty of the ocean is taken to a whole new level when you scuba dive, and I love the tranquillity of freely moving beneath the waves. Seeing your new pals gliding past, the excitement behind their mask in their eyes, you secretly hope they are admiring you as much as you are admiring their grace and control. I travelled to Koh Chang, my favourite area of Thailand, an island paradise where the smiles remain genuine, a place where you are still surrounded by jungle and palm trees line the streets. A place where you can can sit alongside the road and see the ocean from the dive shop in Klong Prao. This was my dream – paradise. In the wet season it rained, sometimes it really poured, but I liked the excitement. We still went diving, shouting, “everyone ready?” across the rain-drench boat, descending beneath real waves, not still, lake-like conditions. Now I was a real diver. Diving in perfect seas is beautiful, but diving with 5m visibility is challenging and exciting. Your focus isn’t on navigating through fields of coral, instead you’re trying to hone in on that nudibranch, you become surrounded by the schools of fish you didn’t see coming from just one turn around a corner, you’re trying to find that buoy line perfectly as a surprise for your group. And then, in a couple of weeks, the sun breaks out, the waves die down and it will again become that blissful paradise everyone is looking for. There is a true magic to this unpredictable and changeable time of the year and I always enjoy it. I could talk about diving all day. Now to my Assistant Instructor Course – the reason I came here. My days were filled with studying lift bags, sea currents, equipment, etc. The days when flurries of people would come for diving was exciting; I continued to learn and develop and was still monitored and advised by the instructors. The pool work was the most exciting. You have to redo every skill you have learnt as if it were second nature. As an Assistant Instructor you are now focussed on assisting Open Water students, demonstrating and explaining skills to Discover Scuba Divers who have not studied a book or watched the PADI videos. Now, more than ever, your skills and their slow-formulated production are key. Overall I am simply in love with Koh Chang, the natural beauty, the scenic sunsets and the local restaurants. Beneath the surface you won’t find super humongous fish as easily as other places, however the reefs are home to such a large variety of fish and marine life it never disappoints. And, the biggest wreck in Thailand is also sunk here! 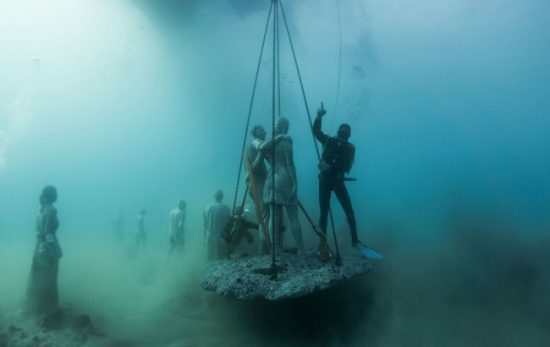 The ocean has taken hold of the wreck and claimed it as part of its world now. It is covered in shells, scorpion fish and eels; around it swim schools of chevron barracuda, fusiliers, long finned bannerfish and spotted boxfish. Some days, when the plankton population is high, Whalesharks pass by Hin Raap, Hin Luk Bat and the HTMS Chang. I recommend you give scuba diving a try. Like me, you may see diving a not just a hobby or passion, but a way to add a new dimension to your life. The people you meet and the places you go, the calmness from submerging yourself, scuba diving somehow connects to your soul. Diving is special so we must give something back to the ocean too. Think about our oceans and appreciate the privilege we have of being able to embark on a living journey. It’s literally at our fingertips. The original version of Christine’s story can be found here.